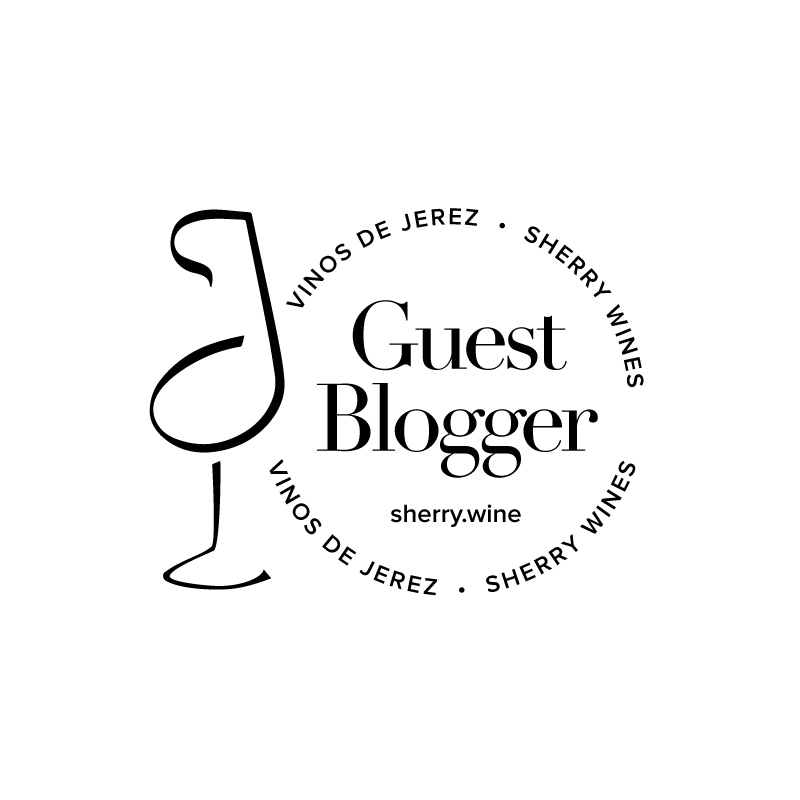 Although perhaps not the wisest alternative to a dental checkup, a glass of Pedro Ximénez (PX) swirled around your mouth is sure to highlight every little cavity and sensitive root in a way that no other sweet wine can. Such is the power of the residual sugar lingering in a bottle of PX that even my dentist couldn’t find anything wrong with the incisor that had recently sent a jolt of pain right through me at the end of a tasting. The campaign to treat PX as an early warning diagnostic device should start now! The movement toward drier, lighter styles has meant that PX is the forgotten element of the sherry revolution. This is a pity because it has a lot to offer and shouldn’t be lumped into the sweet wine category with many of the inferior, mass-produced cream styles. PX reveals most complexity at cool room temperature, probably toward the higher end of the 10-14 degree (Celsius) range that most bodegas recommend, but is also great over a scoop of vanilla ice cream. 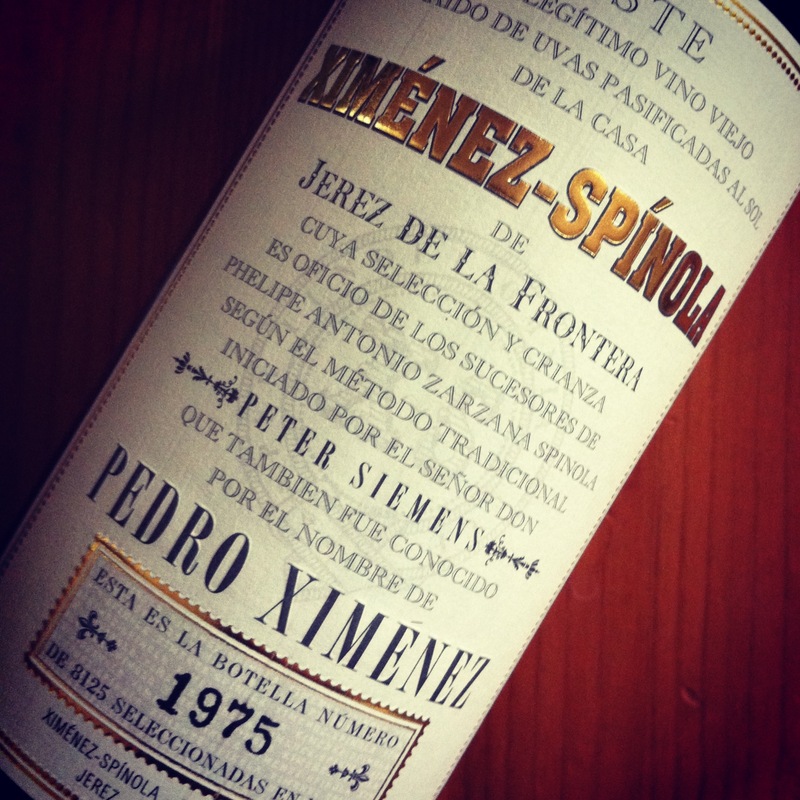 Ximénez-Spínola Pedro Ximénez – The rumoured backstory to this wine is that the first consignment of numbered bottles each year is given to Coutts bank who in turn supply it to their best customers – the Royal family. While the mental image of Prince Phillip slipping a nip of this into the corgies’ water bowl is worth the price tag alone, the effort that goes into turning every grape by hand under the scorching Andalusian sun to provide such concentrated juice is where your money really goes. €59.99 per 750ml from The Corkscrew, Dublin. 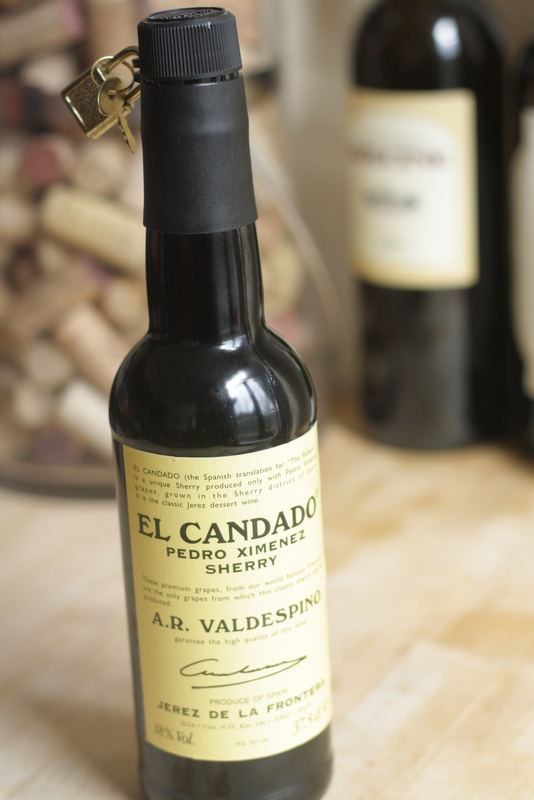 Valdespino Pedro Ximenez El Candado – A more economical option than the Ximénez-Spínola and little between them in terms of quality. 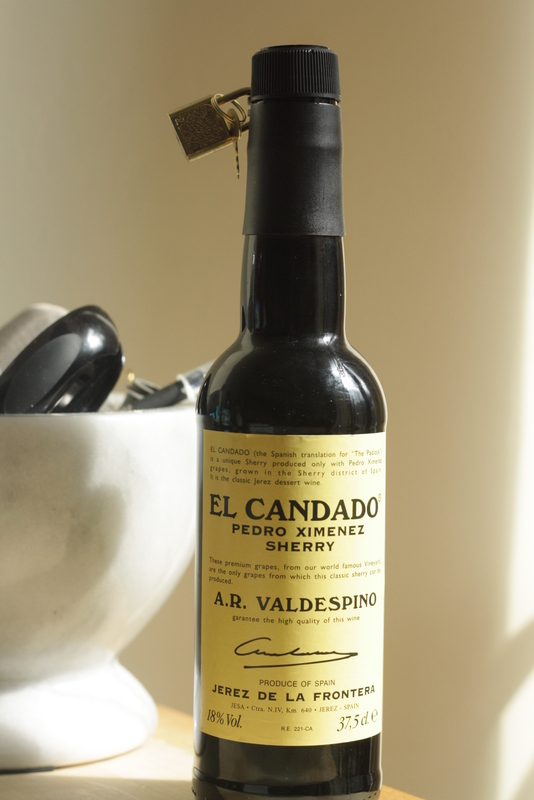 El Candado means padlock in Spanish, and in showing an almost Germanic level of wit, each bottle is sealed with……a padlock. Helpfully, Valdespino also provide you with a set of keys and, since I reckon the same key opens all the bottles, I’ve started to carry one on my person at all times just in case I encounter an inhospitable host who denies me a second glass. €14.99 per 375ml. Available in Ireland from Donnybrook Fair and other good retailers. Imported by Liberty Wines. Fernando de Castilla Antique Pedro Ximenez: No backstory; no gimmicks; just good sweet and intense sherry. The entire ‘antique’ range of sherries seems to be fashioned in a full-on and intense style; music to the ears of a PX connoisseur. Much like the other sherries in the range, this is absolutely delicious. €36.75 per 500ml. Available in Ireland from Searsons and Black Pig Wine. I’ve just discovered Ximinez-Spinola is on sale near me. I’m more of an amontillado fan than PX so I’ll try their medium dry and then the pale German-style desert wine.